Hop on over to Hard Rock Cafe Glasgow this Easter for Breakfast With the Bunny - a tasty, all-you-can-eat breakfast buffet on Saturday 15 and Sunday 16 April. 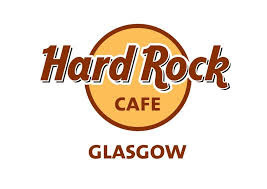 Hard Rock Cafe Glasgow will be hosting ‘Breakfast with the Bunny’ over the Easter weekend for family and friends to come along and enjoy breakfast Hard Rock style, complete with entertainment for the little ones. Hard Rock Cafe Glasgow is putting on its bunny ears especially for our little Roxtars who can enjoy fun and games with a professional children’s entertainer, and it wouldn’t be Easter without a visit from the Bunny. Breakfast with the Bunny offers favourites including scrumptious sausages, bacon, and, of course, eggs for the perfect Easter treat! Thanks to the recent development here, there is no longer a place to be avoided at night. This is a perfect location for a classy, elegant event. It’s great when everyone gathers at New York Event Venues for an incredible picture.